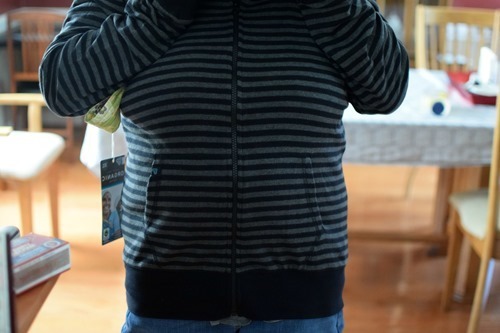 I received this product for free from Moms Meet,May Media Group LLC, who received it directly from the manufacturer. As a Moms Meet blogger, I agree to use this product and post my honest opinion on my blog. The opinions posted are my own. Beginning earlier this year, I have been trying to exercise on 6 days per week. However, there are only classes at the gym that I can get to on 3 of these days, which leaves me with 3 days in which I need to create my own workout. 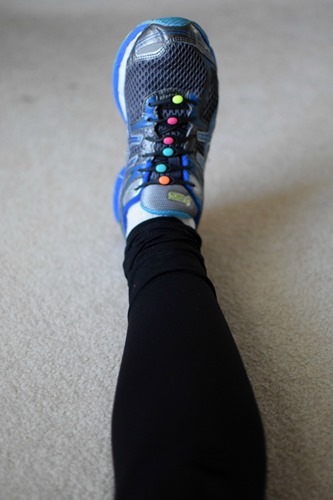 I’m not great at running and the elliptical bores me, so I have been following an at home plan on those 3 days. On Day 1, I focus on Legs, on Day 2, I focus on Arms and Abs, and on Day 3, I do a mix of all 3 types. 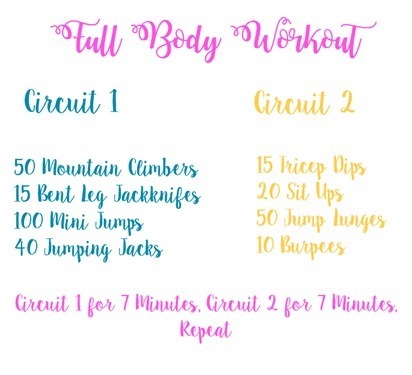 The exercises I use are all those that can be done at home with little to no equipment and today I want to share how you can create your own workout at home just like I have done. What you’ll want to do is choose 8 exercises per day. The exercises will be divided into two circuits, which will each be repeated twice. On each day, choose from the columns of the exercise you are focusing on, plus add in a few cardio exercises. Now, repeat your first 4 exercises for 7 minutes. Repeat your second 4 exercises for 7 minutes. Repeat your first 4 exercises for another 7 minutes. Finally, repeat your second 4 workouts for another 7 minutes. If you don’t know what these exercises entail, just do a quick google search! 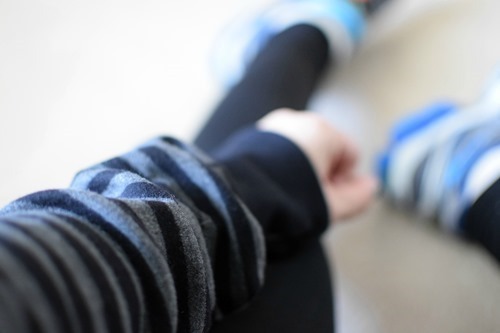 Since I’m working out at home, I can wear whatever I want without worrying how I look. 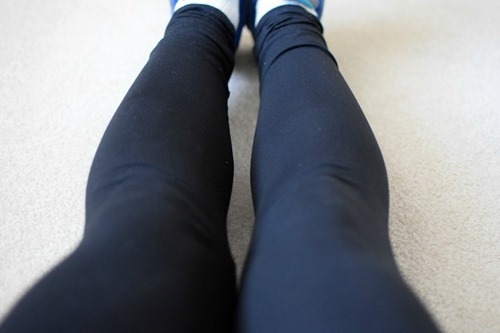 I probably wouldn’t go to the gym in just a tank top and leggings, but at home I can. 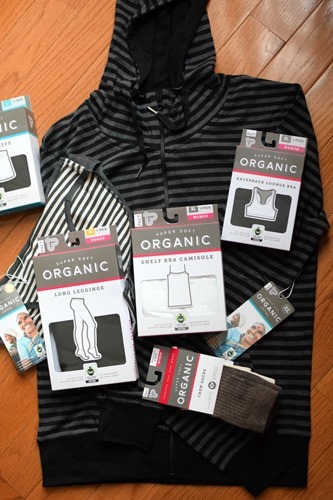 I recently was able to add to my collection of workout clothes when I received long leggings, a racerback bra, a shelf bra camisole, 2 pairs of crew socks, 2 pairs of classic fit bikini underwear, and a light weight hoodie from PACT Organic Clothing. Made from super soft organic cotton, PACT clothing provides just enough stretch for the perfect fit every time. PACT apparel is sweatshop free, ethically produced, and part of a movement transforming the way apparel is made, which makes me even happier to wear it while I exercise. 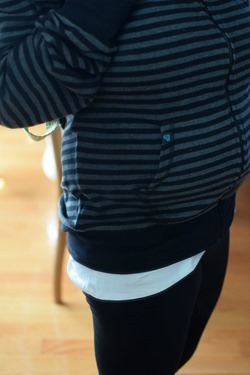 The hoodie is also totally cute with jeans! Learn more about PACT Organic online! You can get 25% off using the code Jersey25 at PACT Organic! 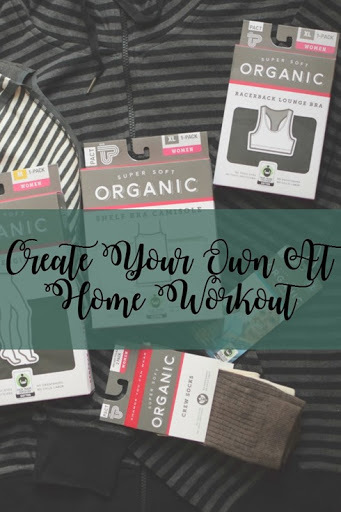 Do you ever workout at home?